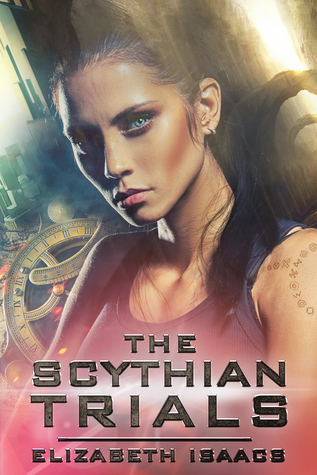 Synopsis: Descendants of the Amazons, the Scythians work alongside prominent governments but answer to no one. Warriors living on the fringe of civilization, they live by one credo: Strength through Equality. Power through Knowledge. About the Author: Elizabeth Isaacs is an author, teacher, and publishing professional who began her career as a national presenter for Resource Profiles, where she developed teacher seminars designed to foster creative brain stimulation. Moving into formal education, she helped at-risk students improve their writing skills as well as created and implemented a creative writing/blogging program that centered on teaching the 21st-century learner. Works stemming from this initiative were published online and seen in over 40 countries. My Review: I have to say that this publisher is finding some amazing stories to publish and bring us! And I am so happy to be reading them! This one is another great story that I could not put down. This story is full of Amazonians but set in the modern age. The society was something fresh that I haven't read about before and the setting was so breathtaking. The story had a great flow and I am so excited that I have a print copy of this one. I really love how the women take the front stage of the story and the men have to win them over. This was such a thrilling and suspenseful story!